I finally broke out the pumpkin. I waited until October - aren't you proud of me! two weeks ago and they were so delicious I immediately asked her to share the recipe. going to become a fall favorite! both used a 9 x 13 inch bake dish instead and they turned out great. The cheesecake crust is made from a pound cake box mix, making it super easy! make at all! The hardest part is waiting for the bars to chill in the fridge before serving! 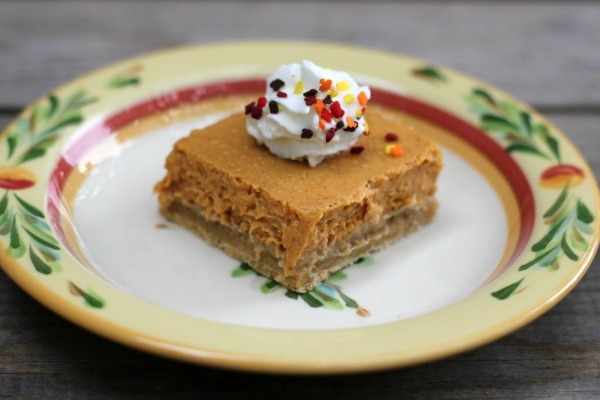 Pumpkin cheesecake bars would be perfect for Thanksgiving or any fall celebration! 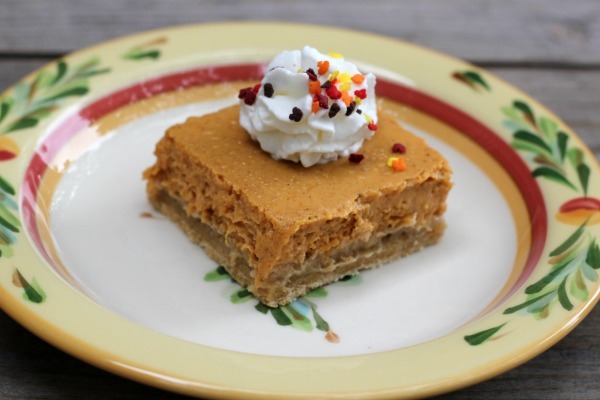 white and dark chocolate pumpkin cake or pumpkin chocolate chip cookie pie! Preheat oven to 350 degrees. Spray 9 x 13 inch bake dish with cooking spray. In a large mixing bowl, on low speed, combine cake mix, 1 egg, butter and 2 tsp. pumpkin pie spice until crumbly. Press lightly into prepared pan; set aside. pumpkin puree, remaining 2 tsp. pumpkin pie spice and salt. Mix well. Pour over crust. Bake for 30 minutes or until set. Cool on a wire rack. 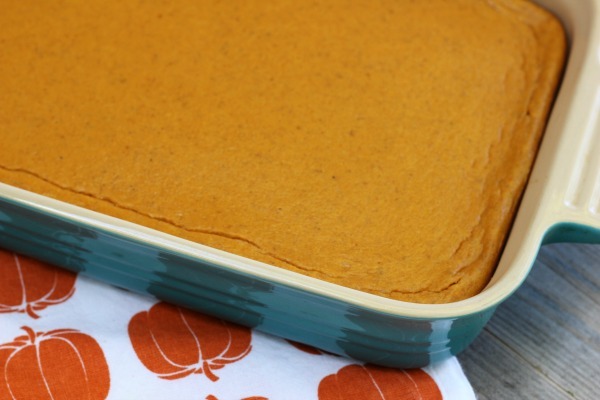 Place bake dish in the fridge until ready to serve. Cut into bars. Store leftovers in the refrigerator.